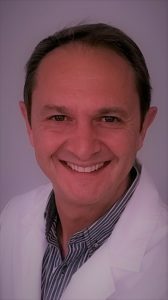 In June of this year, after many years of research into SCENAR therapy, Dr. Carlos Udina presented his PhD thesis – ‘Effects of Neuro-adaptive Regulation Therapy on Central Sensitisation’ at the University of Rey Juan Carlos in Madrid in Spain. The research was conducted as a randomized, double blind, placebo controlled study of the application of SCENAR therapy in patients with fibromyalgia. The research produced statistically significant results both in pain relief and the reduction in fibromyalgia symptoms.